Martin Deren, the box-owner of CrossFit Hillerod, is giving us a little insight into what happens at his BOX! Enjoy another episode of our Europewide BOX interviews. Well how can you miss it..
Before i was the owner of a traditional fitnessgym, i guess i saw the light. We have a outstanding community and people really enjoy training, learning and developing skills together in the box, we are lucky to have some cool passionate well educateted trainers. We have a little over 200 members from all ages and genders, but maybe we have a little higher average age. We have special classes that focusses more on the given part. kettlebell, gymnastics, weightlifting, mobility. You must attend our on ramp classes, a minimum of 6 hour is required before you can attend regular classes, som folks need a bit more. 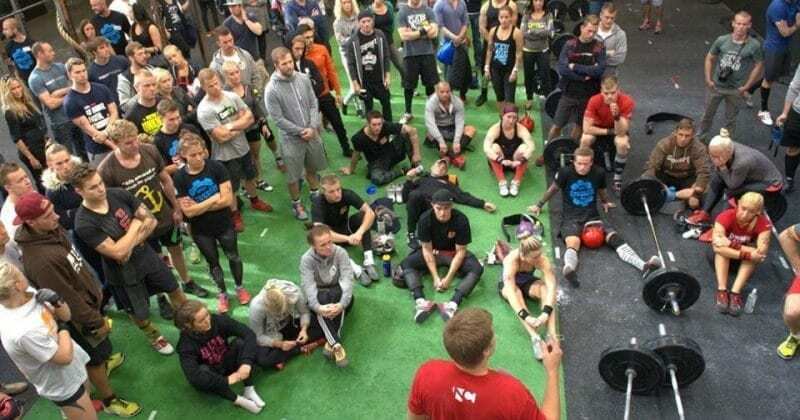 Yes, we had our first cool competition i september, called CFH Open 2013 and we had top competitor from all over the country partisipating. in november we had our internal championship, that was a lot of fun and next here in January the 11. 2014 we have a big CFH Team Challenge with close to 140 athletes signed up for action. We like each other on facebook. and share post etc. You can always drop in, we love visitors, and we love to exchange T-Shirts as well.